MICHAEL JACKSON "BEST 4 YOU"
The record chosen this week by the Showroom, is the Michael's "Best 4 U" 12'' single released in Japan only. 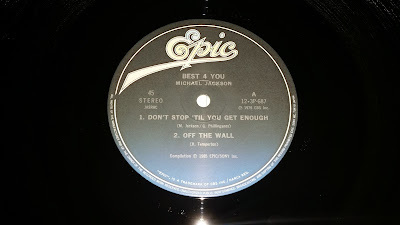 This record is a part in a series of releases with the same "best 4 You" brand, marketed by Epic/Sony at the time (1985-86, I guess). 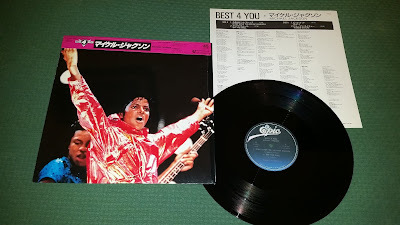 A Jacksons "Best 4 you" was released too, and it's even rare than this. 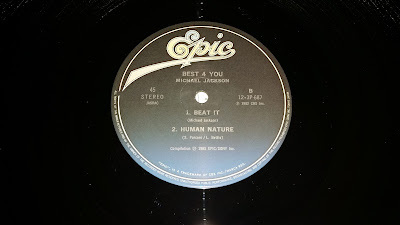 The series includes exclusive releases from Toto and Cindy Lauper, as well as other artists (I think - I didn't see others around) from the Epic label. 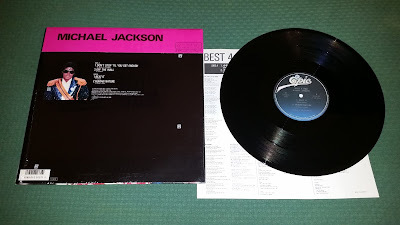 The exclusive picture sleeve, as well as the wonderful pink obi, make of this an extremely precious record for every Michael Jackson collector.